A scientifically based approach to rehabilitation of articular cartilage lesions starts with restoration of passive range of motion followed by a progressive resistance training program for muscle strengthening, with particular attention to joint alignment. The author’s philosophy of care for rehabilitation of articular cartilage lesions is based on the previously described knowledge of basic and applied science (see “Articular cartilage rehab starts with examination, November, page 45). Since there are few outcome studies for patients with articular cartilage lesions, a problem-solving approached based on the knowledge gained from basic sciences and observational studies is helpful in planning a rehabilitation model for patients with these lesions. Treatment of articular cartilage lesions requires patience in implementing the program for both the patient and the rehabilitation clinician. In general, the author prefers to restore full passive range of motion (ROM) prior to initiating a progressive resistance training program for muscle strengthening. Functional training for lower extremity joints can occur early in rehabilitation, but should not include static (e.g., prolonged postures) or ballistic (e.g., jumping) activity. Although symptoms are a foundation for program guidance, reliance strictly on symptoms is not always successful. Restoration of full passive joint motion is the top priority in patients with articular cartilage lesions. Full passive motion allows for movement of synovial fluid and proper joint nutrition. In joints where passive ROM is limited, the joint capsule and ligaments surrounding the joint are restricted, leading to increased force on the articular cartilage. Therefore treatment programs for articular cartilage lesions should include multiple methods to restore full symmetric ROM to an extremity joint.1-3 Passive motion of the joint with or without end-range overpressure and joint mobilization are the most commonly used forms of therapeutic exercise for restoration of passive ROM. During the early rehabilitation period when symptoms are acute, passive motion without overpressure is utilized; however, if a delay in progress is observed, passive forced motion may be necessary, but not at the expense of increasing symptoms. Joint mobilization is also helpful.1,2,4 When applying these therapeutic activities to individual patients it is important to do an inventory of joint symptoms on each visit before and after treatment. Increases in joint symptoms commonly occur, but should subside within several hours post-treatment. Increased intensity or duration of symptoms should not occur. The amount of time allotted for treating articular cartilage lesions with CPM has not been standardized and remains somewhat controversial. Originally Salter described up to 10 hours of CPM per day for six weeks. More recent studies have noted CPM usage six hours per day for up to six weeks.7,8 Although it has been shown to be successful with post-operative treatment of articular cartilage lesions, CPM is not commonly used with conservative management. However, the principles of restoring full passive motion and repetitive motion may be helpful during the initial stages of rehabilitation. More commonly, active assisted motion activities (such as a stationary bike with little or no resistance) are used in conservative management of articular cartilage lesions. Restoration of muscle-tendon unit flexibility may also be helpful for reducing stress in joints with articular cartilage lesions. Minimal evidence exists to support muscle-tendon unit stretching programs in patients with articular cartilage lesions. However, when muscle-tendon units are tight there is increased load on the joint at the end range of motion. Although the author prefers to utilize passive ROM as the primary method of treatment for acute articular cartilage lesions, active ROM is commonly used to assist in restoration of proper neuromuscular integration to the muscles around a joint following injury. During active ROM there is decreased load on the articular cartilage compared to resisted ROM. Therefore, during the initial rehab stages of strength and endurance development, active ROM is used as an intermediate step between passive ROM and resisted ROM. Figure 1. Squats with a mild valgus alignment. As mentioned earlier, the author believes it is important to restore full passive ROM to a joint prior to the initiation of a formal strength training program. This is based on the previously described philosophy that normal joints have normal ROM.10 Therefore, if a joint is to be normalized, the passive ROM must be full. During the initial rehab period, when full symmetrical passive motion is being pursued, an isometric resistance program is applied. The author’s guidelines for the isometric program include muscle contractions performed at a joint angle in which the lesion is not articulating, and progression from submaximal to maximal contractions, depending on symptoms. Multiple angles for submaximal or maximal isometrics are normally used.11 The author prefers to perform multiple angle isometrics away from the lesion site to prevent excessive static loading on the healing articular cartilage. An isometric program is normally the first step in resisted training. When initiating a resistance training program, a “proceed with caution” approach is warranted. Because articular cartilage is aneural, clinicians should proceed with caution when implementing an initial strength training program. Commonly the patient may have minimal to no symptoms when a new program is initiated, only to have pain and swelling occur several hours later. Both isotonic and isokinetic programs are used as forms of resistance training with articular cartilage injury. Isokinetic exercise is preferable in many instances due to the ability to increase the speed of movement, thus decreasing stress on articular cartilage.12,13 However, a baseline of strength is necessary prior to initiating movement at faster speeds. Therefore active motion and light resistance training using isotonic exercise commonly represent the first step in the progression. Once the patient is able to control a moderate amount of resistance with isotonic exercise, an isokinetic program is applicable. Figure 2. Squats with a mild varus alignment. The author prefers an “endurance biased” program for either isotonic or isokinetic exercise. This type of program uses three to four sets of 15 to 25 repetitions rather than the standard three sets of 10 repetitions used for strength training. The “endurance biased” program allows for fatigue of the target muscle group without the stress of heavy resistance on the injured joint. The author’s guidelines for resistance include the ability to perform the activity through a range of motion with proper joint alignment in a smooth, slow, and repetitive fashion. When the patient is unable to perform the activity in this fashion, the activity is stopped. If the patient is able to perform the activity for more than three to four sets of 25 repetitions, the resistance is increased. Conversely, if the patient is unable to perform the activity properly for three sets of 15 repetitions, the resistance is reduced. Open kinetic chain (OKC) exercise, where the distal segment is free, is particularly helpful for increasing isolated muscle strength.11,14 When implementing an OKC resisted exercise program, the clinician should also be aware of the negative implications of this form of exercise. While OKC is helpful for increasing isolated muscle strength, there may be large shear forces across the joint when using this type of exercise. Several studies have observed anterior shear with this form of exercise at the knee.15-17 Since shear forces appear to be destructive to articular cartilage lesions, avoidance of OKC exercise across the lesion is indicated. In particular, slow speed, high resistance OKC exercise is believed to be detrimental to articular cartilage. A method of reducing the impact on shear force across the lesion is to perform limited arc OKC training on either side of the lesion. Suppose, for example, that a lesion spans the 30° to 60° articulation zone in a given joint. When implementing an OKC exercise, two arcs of motion, from 90° to 70° and from 0° to 20°, may be utilized to reduce the impact on the injured area. Figure 3. Knee varus with hip adduction at heel strike. 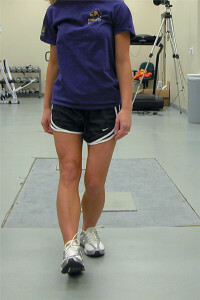 Closed kinetic chain (CKC) exercises are performed with the distal segment fixed. Due to the multiple methods used with CKC exercise, a complete understanding of this form of exercise is not currently available. However, in one study comparing OKC and CKC exercise, an increase in posterior shear force and maximum compressive force occurred with CKC exercise.16 Compression on a specific area of a joint may be reduced by altering the alignment during CKC exercise. At the knee the author commonly aligns the joint in mild valgus in patients with a medial compartment articular cartilage lesion (Figure 1) or in mild varus in patients with a lateral compartment lesion (Figure 2). The author believes that by changing the alignment of the joint, a reduction in compressive loading occurs in the area of the lesion. This method is similar to the concepts used in unloader bracing and foot orthoses utilization in patients with unicompartmental articular cartilage lesions at the knee. Although the biomechanics of OKC and CKC exercise have been studied at the knee joint, there is less understanding of treatment with these forms of exercise on other joints. Consideration of joint malalignment is necessary in the lower extremity when CKC exercise is being utilized. Sharma et al noted that strength training in a malaligned limb may cause further articular cartilage injury.18 Alteration of joint alignment may be accomplished by changing the alignment of adjacent joints. In the lower extremity, knee alignment in the frontal plane is influenced by the hip joint and the foot and ankle complex. 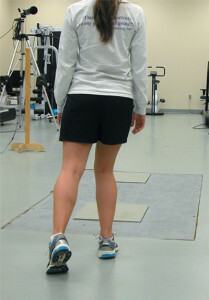 Increased hip adduction results in varus alignment of the knee at heel strike during gait (Figure 3). In CKC activities such as gait, hip adduction is controlled by an eccentric contraction of the hip abductors. Therefore weakness in the hip abductors results in increased varus alignment of the knee at heel strike. Figure 4. Knee valgus with hip adduction at midstance. Patient education regarding their condition and how to manage symptoms during painful periods is helpful in the initial treatment session and prior to discharge from a formal rehabilitation program. A review of the principles of rehabilitation outlined in the first article in this series will assist the patient in understanding the mechanisms of failure as well as methods of treatment for their pathology. In chronic situations such as knee osteoarthritis, patient education may be helpful in reducing patient anxiety and serve as an initial step for treatment. Patients may then be able to mediate common impairments like swelling and joint effusion, ROM loss, strength loss, and may be better able to cope with loss of function. At the present time there do not appear to be any well controlled studies that outline criteria for return to participation in athletics in patients with articular cartilage lesions. The author prefers to use a combination of subjective and objective examination findings as criteria. Careful monitoring of symptoms including pain and swelling, passive ROM, and resisted testing for the musculature around the injured joint are appropriate when returning a patient to athletics. Additionally, a functional progression, where the patient is slowly introduced to increasing levels of activity over a period of time, will allow for an optimal return. Articular cartilage lesions are common and difficult to treat. Principles of rehabilitation include a working knowledge of articular cartilage anatomy and biomechanics, a clear understanding of joint examination, and a thorough knowledge of the influence of therapeutic exercise on the injured articulations. Currently our greatest knowledge of rehabilitation’s impact on articular cartilage lesions exists at the knee joint. Further study is necessary to completely understand the impact of therapeutic exercise on all joints. Outcome studies in this area are limited. 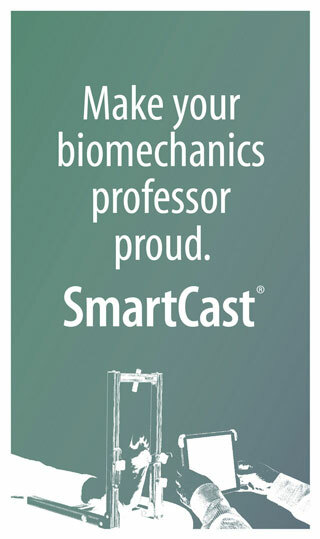 Walter L. Jenkins PT, DHS, ATC, LATC, is associate professor and chair of the department of physical therapy at East Carolina University in Greenville, NC. 1. Brody LT. Impaired joint mobility and range of motion. In: Hall CM, Brody LT, eds. Therapeutic exercise: moving toward function. Philadelphia: Lippincott Williams & Wilkins; 2005. 2. Prentice WE. Joint mobilization and traction techniques in rehabilitation. In: Voight ML, Hoogenboom BJ, Prentice WE, eds. Musculoskeletal interventions. New York: McGraw Hill Medical; 2007. 3. Prentice WE. Impaired mobility: Restoring range of motion and improving flexibility. In: Voight ML, Hoogenboom BJ, Prentice WE, eds. Musculoskeletal interventions. New York: McGraw Hill Medical; 2007. 4. Kaltenborn FM. Manual mobilization of the extremity joints: basic examination and treatment techniques. 4th ed. Oslo: Olaf Norlis Bokhandel; 1989. 5. Salter RB, Hamilton HW, Wedge JH, et al. Clinical application of basic research on continuous passive motion for disorders and injuries of synovial joints: a preliminary report of a feasibility study. J Orthop Res 1984;1(3):325-342. 6. Salter RB, Simmonds DF, Malcolm BW, et al. The biological effect of continuous passive motion on the healing of full-thickness defects in articular cartilage. J Bone Joint Surg Am 1980;62(8):1232-1251. 7. Mithoefer K, Williams RJ 3rd, Warren RF, et al. High-impact athletics after knee articular cartilage repair: a prospective evaluation of the microfracture technique. Am J Sports Med 2006;34(9):1413-1418. 8. Mithoefer K, Williams RJ 3rd, Warren RF, et al. The microfracture technique for treatment of articular cartilage in the knee. A prospective cohort study. J Bone Joint Surg 2005;87(9):1911-1921. 9. O’Driscoll SW, Giori NJ. Continuous passive motion (CPM): theory and principles of clinical application. J Rehabil Res Dev 2000;37(2):179-188. 11. Hall CM, Brody LT. Impairment in muscle performance. In: Hall CM, Brody LT, eds. Therapeutic exercise: moving toward function. Philadelphia: Lippincott Williams & Wilkins; 2005. 12. Davies GJ. A compendium of isokinetics in clinical usage and rehabilitation techniques. 3rd ed. Onalaska, WI: S & S Publishers; 1987. 13. Perrin DH. Isokinetic exercise and assessment. Champaign, IL: Human Kinetics; 1993. 14. Prentice WE. Open- versus closed-kinetic chain exercise in rehabilitation. In: Voight ML, Hoogenboom BJ, Prentice WE, eds. Musculoskeletal interventions. New York: McGraw Hill Medical; 2007. 15. Grood ES, Suntay WJ, Noyes FR, Butler DL. Biomechanics of the knee-extension exercise. Effect of cutting the anterior cruciate ligament. J Bone Joint Surg Am 1984;66(5):725-734. 16. Wilk KE, Escamilla RF, Fleisig GS, et al. A comparison of tibiofemoral joint forces and electromyographic activity during open and closed kinetic chain exercises. Am J Sports Med 1996;24(4):518-527. 17. Yack HJ, Collins CE, Whieldon TJ. Comparison of closed and open kinetic chain exercise in the anterior cruciate ligament-deficient knee. Am J Sports Med 1993;21(1):49-54. 18. Sharma L, Dunlop DD, Cahue S, et al. Quadriceps strength and osteoarthritis progression in malaligned and lax knees. Ann Intern Med 2003;138(8):613-619. 19. 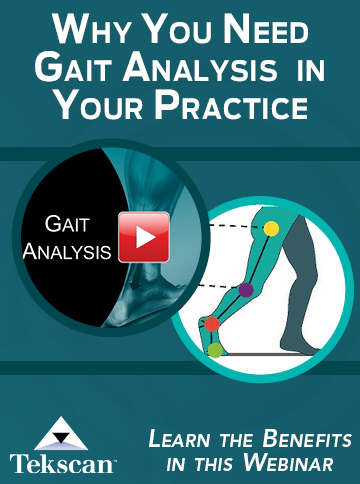 Briem K, Snyder-Mackler L. Proximal gait adaptations in medial knee OA. J Orthop Res 2009;27(1):78-83. 20. Chang A, Hayes K, Dunlop D, et al. 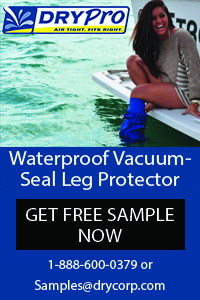 Hip abduction moment and protection against medial tibiofemoral osteoarthritis progression. Arthritis Rheum 2005;52(11):3515-3519. 21. Jaramillo J, Worrell TW, Ingersoll CD. Hip isometric strength following knee surgery. J Ortho Sports Phys Ther 1994;20(3):160-165. 22. Buttaci CJ, Stitik TP, Yonclas PP, Foye PM. Osteoarthritis of the acromioclavicular joint: a review of anatomy, biomechanics, diagnosis, and treatment. Am J Phys Med Rehabil 2004;83(10):791-797. 23. Kerrigan DC, Lelas LJ, Goggins J, et al. Effectiveness of a lateral-wedge insole on knee varus torque in patients with knee osteoarthritis. Arch Phys Med Rehabil 2002;83(7):889-893. 24. Marks R, Penton L. Are foot orthotics efficacious for treating painful medial compartment knee osteoarthritis? A review of the literature. Int J Clin Pract 2004;58(1):49-57. 25. Bolgla LA, Malone TR, Unberger BR, Uhl TL. Hip strength and hip and knee kinematics during stair descent in females with and without patellofemoral pain syndrome. J Ortho Sports Phys Ther 2008;38(1):12-18. 26. Cichanowski HR, Schmitt JS, Johnson RJ, Niemuth PE. 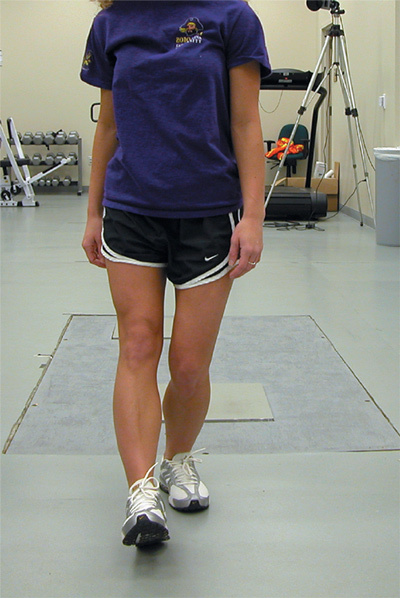 Hip strength in collegiate female athletes with patellofemoral pain. Med Sci Sports Exerc 2007;39(8):1227-1232. 27. Dierks TA, Manal KT, Hamill J, Davis IS. Proximal and distal influences on hip and knee kinematics in runners with patellofemoral pain during a prolonged run. J Ortho Sports Phys Ther 2008;38(8):448-456. 28. Heinert BL, Kernozek TW, Greany JF, Fater DC. Hip abductor weakness and lower extremity kinematics during running. J Sports Rehabil 2008;17(3):243-256. 29. Niemuth PE, Johnson RJ, Myers MJ, Thieman TJ. Hip muscle weakness and overuse injuries in recreational runners. Clin J Sports Med 2005;15(1):14-21. 30. Ireland ML, Willson JD, Ballantyne BT, Davis IM. Hip strength in females with and without patellofemoral pain. J Ortho Sports Phys Ther 2003;33(11):671-676. 31. Robinson RL, Nee RJ. Analysis of hip strength in females seeking physical therapy treatment for unilateral patellofemoral pain syndrome. J Ortho Sports Phys Ther 2007;37(5)232-238. 32. Klingman RE, Liaos SM, Hardin KM. The effect of subtalar joint posting on patellar glide position in subjects with excessive rearfoot pronation. J Ortho Sports Phys Ther 1997;25(3):185-191. 33. Collins N, Crossley K, Beller E, et al. Foot orthoses and physiotherapy in the treatment of patellofemoral pain syndrome: randomised clinical trial. Br J Sports Med 2009;43(3):163-168. 34. Eng JJ, Pierrynowski MR. Evaluation of soft foot orthotics in the treatment of patellofemoral pain syndrome. Phys Ther 1993;73(2):62-69. 35. Gross MT, Foxworth JL. The role of foot orthoses as an intervention for patellofemoral pain. J Orthop Sports Phys Ther 2003;33(11):661-670. 36. Johnston LB, Gross MT. Effect of foot orthoses on quality of life for individuals with patellofemoral pain syndrome. J Orthop Sports Phys Ther 2004;34(8):440-448. 37. Saxena A, Haddad J. The effect of foot orthoses on patellofemoral pain syndrome. J Am Podiatr Med Assoc 2003;93(4):264-271. 38. Sutlive TG, Mitchell SD, Maxfield SN, et al. Identification of individuals with patellofemoral pain whose symptoms improved after a combined program of foot orthoses use and modification of activity. Phys Ther 2004;84(1):49-61. 39. Way MC. Effects of a thermoplastic foot orthoses on patellofemoral pain in a collegiate athlete: a single-case design. J Orthop Sports Phys Ther 1999;29(6):331-338. 40. Hortobagyi T, Garry J, Holbert D, Devita P. Aberrations in the control of quadriceps muscle force in patients with knee osteoarthritis. Arthritis Rheum 2004;15(4):562-569. 41. Masui T, Hasegawa Yamaguchi J, et al. Increasing postural sway in rural-community-dwelling elderly person with knee osteoarthritis. J Orthop Sci 2006;11(4):353-358. 42. Pandya NK, Draganich LF, Mauer A, et al. Osteoarthritis of the knees increases the propensity to trip on an obstacle. Clin Orthop Relat Res 2005;(431):150-156. 43. Diracoglu D, Aydin R, Baskent A, Celik A. Effects of kinesthesia and balance exercise in knee osteoarthritis. J Clin Rheumatol 2005;11(6):303-310. 44. Hinman RS, Bennell KL, Metcalf BR, Crossley KM. Balance impairments in individuals with symptomatic knee osteoarthritis: a comparison with matched controls using clinical tests. Rheumatology 2002;41(12):1388-1394.